Researchers may have found the answer to a chronically puzzling question: why do elephants rarely get cancer? The scientists were led by researchers at Huntsman Cancer Institute (HCI) at the University of Utah and Arizona State University, and included researchers from the Ringling Bros. Center for Elephant Conservation. According to the results, published in the Journal of the American Medical Association (JAMA), elephants have 38 additional modified copies (alleles) of a gene that encodes p53, a well-defined tumor suppressor, as compared to humans, who have only two. Further, elephants may have a more robust mechanism for killing damaged cells that are at risk for becoming cancerous. In isolated elephant cells, this activity is doubled compared to healthy human cells, and five times that of cells from patients with Li-Fraumeni Syndrome, who have only one working copy of p53 and more than a 90 percent lifetime cancer risk in children and adults. 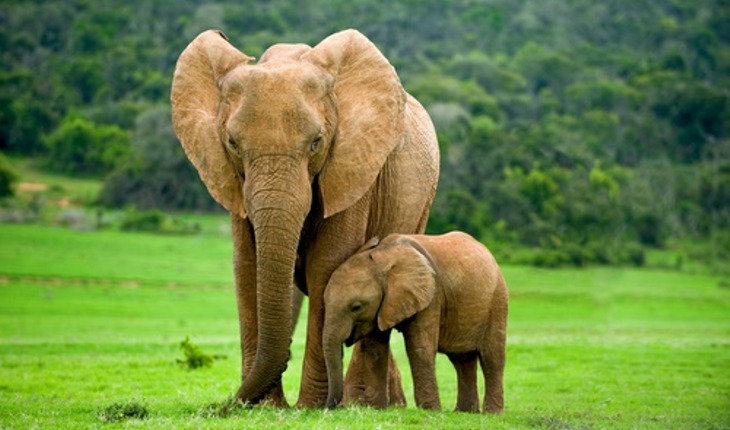 The results suggest extra p53 could explain elephants’ enhanced resistance to cancer. According to Schiffman, elephants have long been considered a puzzle. Because they have 100 times as many cells as people, they should be 100 times more likely to have a cell slip into a cancerous state and trigger the disease over their long life span of 50 to 70 years. And yet it’s believed that elephants get cancer less often, a theory confirmed in this study. Analysis of a large database of elephant deaths estimates a cancer mortality rate of less than 5 percent compared to 11 to 25 percent in people. In search of an explanation, the scientists combed through the African elephant genome and found at least 40 copies of genes that code for p53, a protein well known for its cancer-inhibiting properties. DNA analysis provides clues as to why elephants have so many copies, a substantial increase over the two found in humans. A substantial majority, 38 of them, are so-called retrogenes, modified duplicates that have been churned out over evolutionary time.